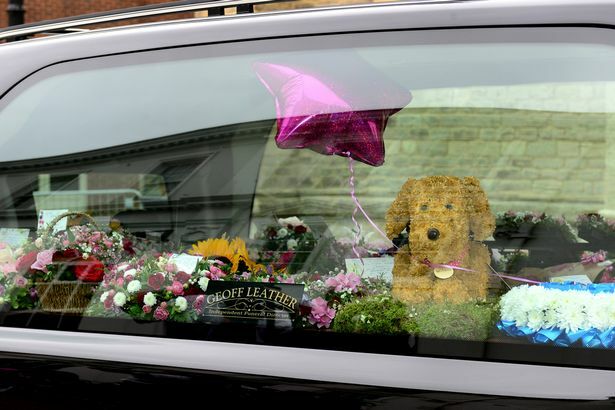 Hundreds of people turned out for the funeral of six-year-old schoolgirl Keziah Flux-Edmonds - who was murdered at her home on the Isle of Wight in June. 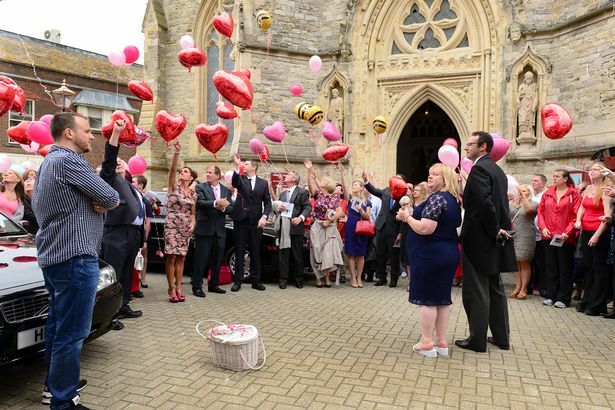 Around a hundred people held balloons in St Thomas' Square - while another 160 people went inside for the emotional service at Newport Minster. 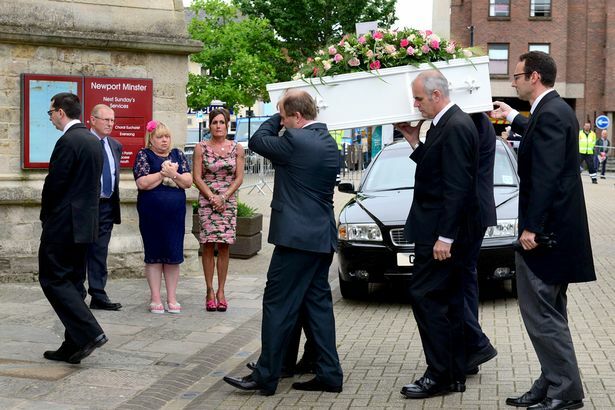 Keziah was found lying unconscious next to the body of her father Darren Flux-Edmonds on June 1. Mr Flux-Edmonds, 44, was declared dead at the scene and a coroner later ruled that he had hanged himself. The bodies of the family's two dogs were also found inside the house. 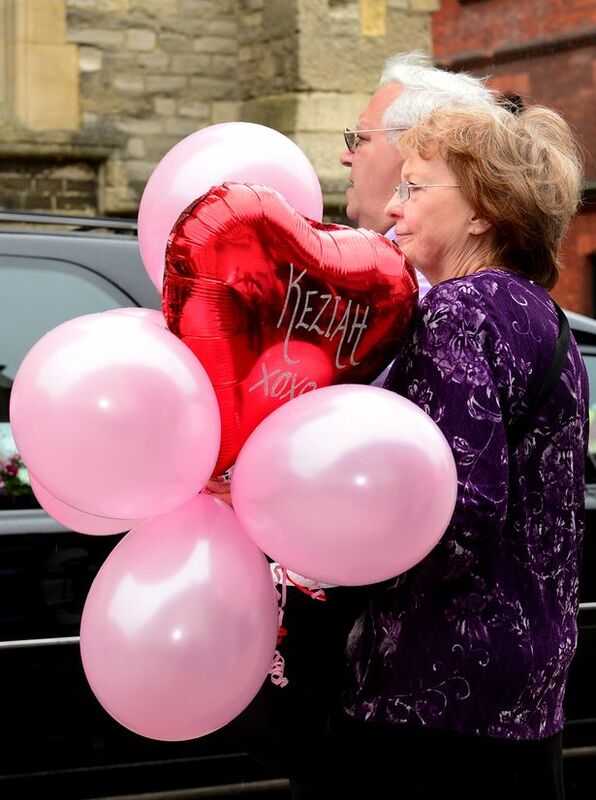 Two days after the discovery it emerged a post mortem had failed to establish the cause of Keziah's death - and police launched a murder investigation. 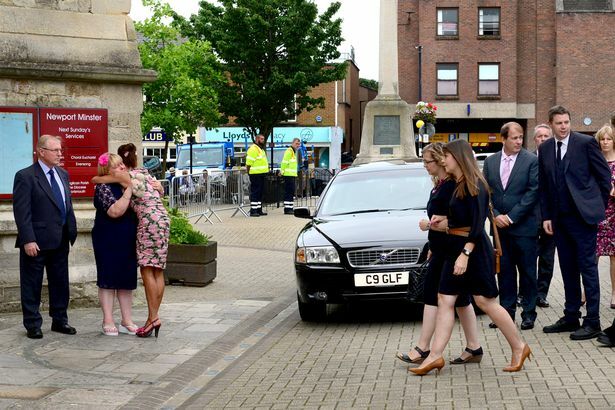 Police have said that they aren't looking for anybody else in connection with her death. 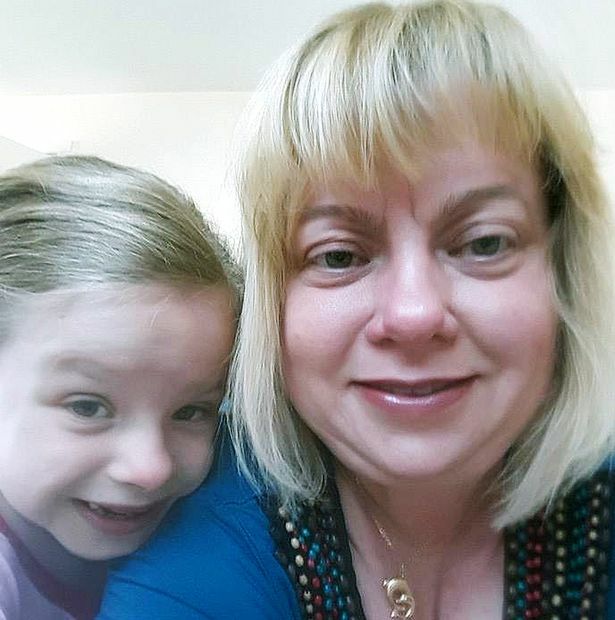 Shortly after her death her mother Nikki said Keziah was a "child full of happiness". 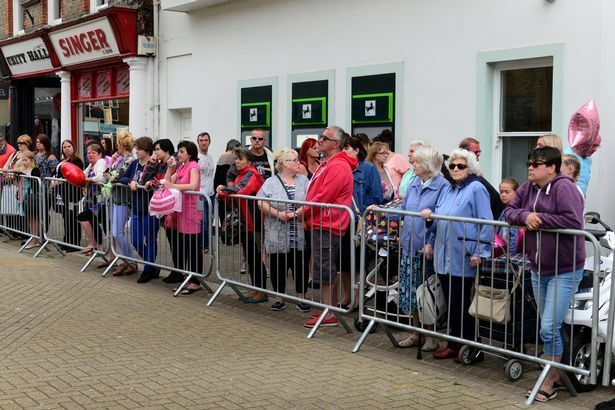 Around 200 people attended a vigil in Cromwell Avenue in East Cowes where she was discovered. 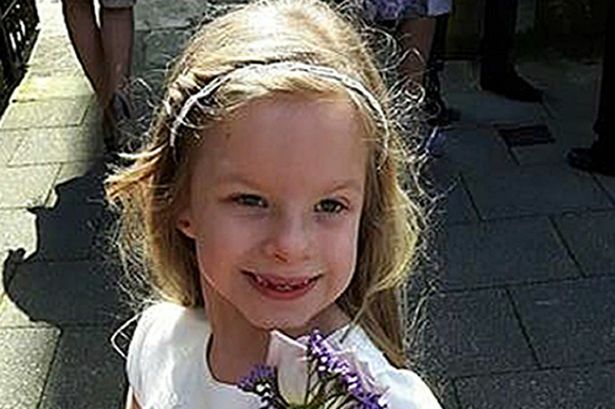 Keziah was described as a "little angel" and a "sweet little girl" - while neighbours added she had dreamt of being the Disney character Elsa from the film Frozen. 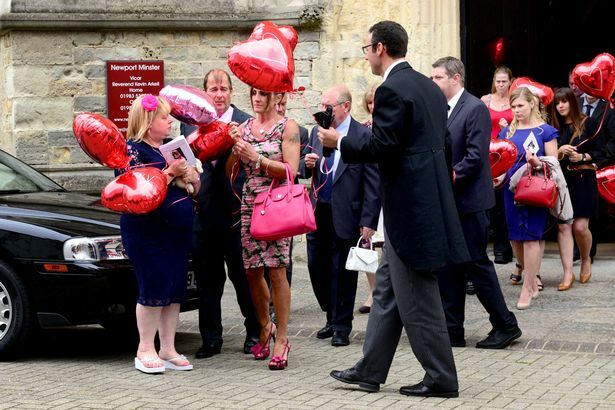 Ms Flux-Edmonds - who clutched a small stuffed toy as she waited for the coffin to be carried into the church - said: "She was the beat of my heart. "Without her I no longer live, I merely exist. 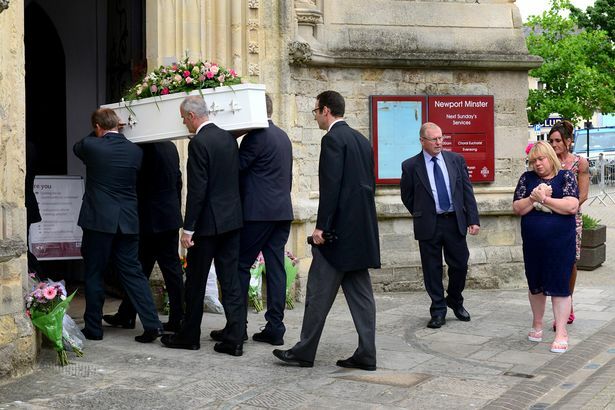 "She loved school and had many friends. It was said she was constantly smiling and was always busy, which earned her the nickname Bumblebee. "Her greatest desire was to sing Katy Perry's song, Roar, on Britain's Got Talent and she would practise every day so she would be perfect and wouldn't be buzzed off."